Related to the various project elaborated we regularly give workshops on several related topics. On this page you can find an overview of the upcoming workshops as well as an overview of other workshops that can be booked. 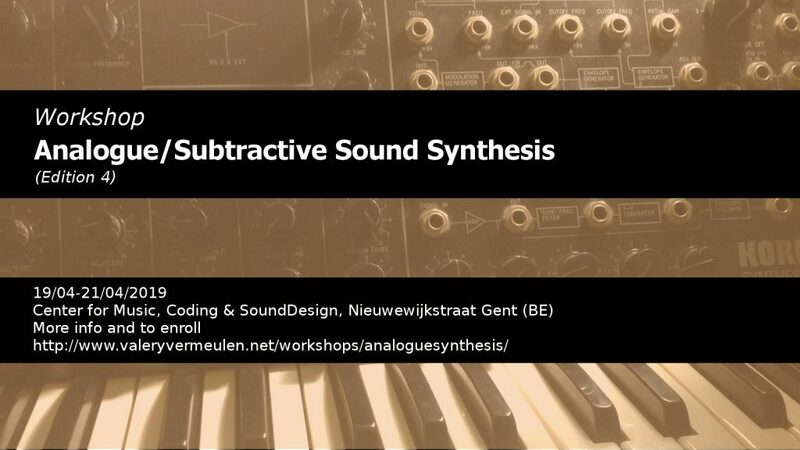 Workshop on how to create and design your own sonic world as musician or sound designer using any type of analogue/subtractive synth. More info and to enroll. Workshop on how to create and design your own sonic world as musician or sound designer using digital synthesis techniques. More info and to enroll. 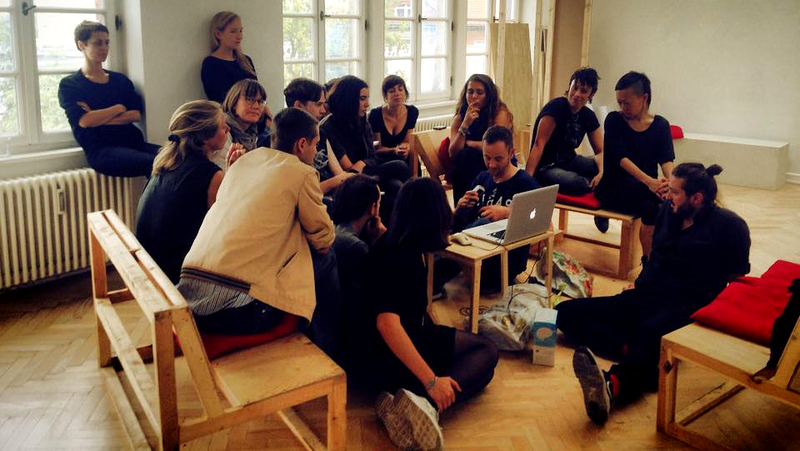 Underneath you can find an overview of workshops you can book as an individual organization. Besides these mentioned themes workshops on demand on topics related to art, electronic music, science and technology are also possible. Workshop on how scientific abstract data can be used in innovative ways to compose, perform music or create multimedia installations. More info. Workshop and hands on training on how to use bio and psychophysiological data (brain waves (EEG), stress level (GSR), heart rate (ECG),…) for artistic purposes. More info. Workshop on use of (game) and other controllers for musical purposes. More info.